Click the "My Account / Order Status" link at the top right hand side of our site to check your orders status. Our email us at, info@eyeglassX.com. Please provide, Name & Order number. Click the "My Account / Order Status" link at the top right hand side of our site to track your order. Plus you will receive a confirmation email from us once your order is placed. Will will always follow up with you during the order fulfillment and you will receive tracking details once your order ships. Backordered items are those which our suppliers are unable to predict when they will have more in stock, but as soon as they do, we will be able to ship the item to you. 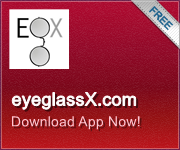 You can also email us at, info@eyeglassX.com. Most backorders for lenses are fulfilled within days.